I haven’t been very good about posting my Journal 52 pages. I’ve been keeping up nicely, but just not posting them. In some cases, it’s because I’m going to use a page as an example for a review I’m working on, but a couple I just haven’t felt were done. I’m pretty sure I’ll go back and work on them some more. I think this one is done though. 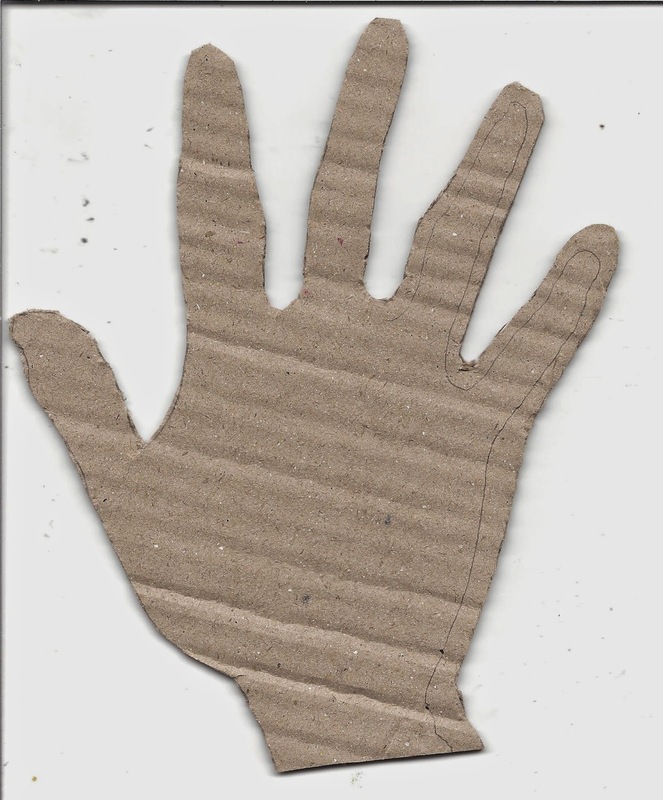 I traced my hand onto cardboard and then cut out the inside to make a hand outline. 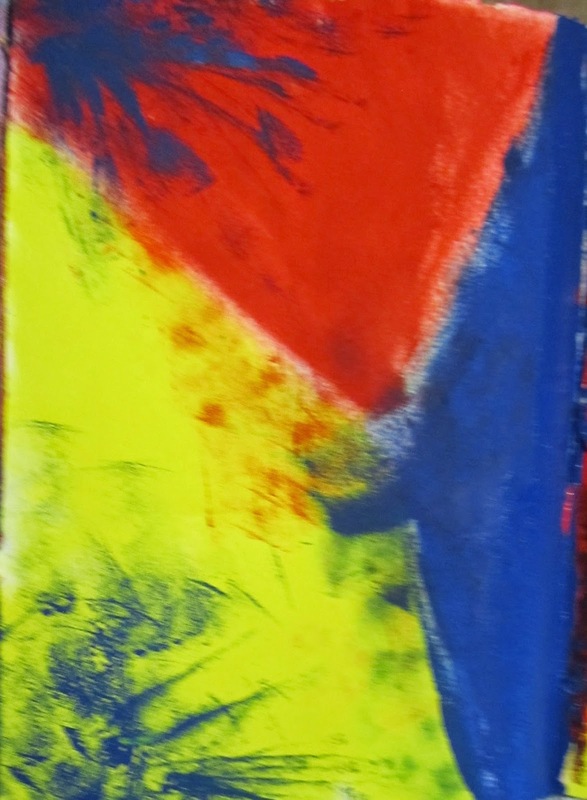 I painted the background with Holbein Matte Primary Red, Primary Blue and Primary Yellow acrylic paint. Then I painted the hand outline with a metallic blue and then tangled everywhere with a white gellyroll pen. 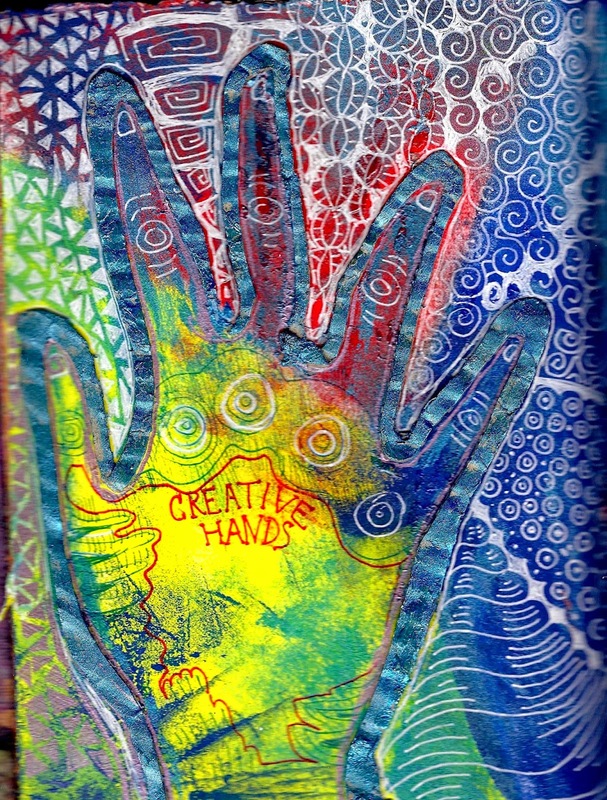 To finish off I used a red gel ink pen to write creative hands and do a little outlining. Really beautiful work. I have yet to do this prompt. Thank you! There have been really awesome works posted on Flickr for this prompt. I've enjoyed seeing how everyone interpreted it.